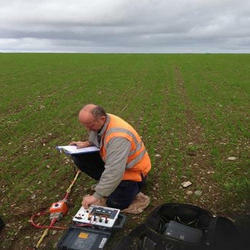 By using advanced technology, we are involved in providing Earthing Testing Service. Volta Integrated Solution India Pvt. Ltd.
SVS Satellite Communications Pvt. Ltd.
NIPPEN Earth Tester is a completely self contained instrument designed to give accurate measurement of earth electrode resistance, soil resistivity, earth continuity and neutral Earth loop tests for IEE wiring regulations. 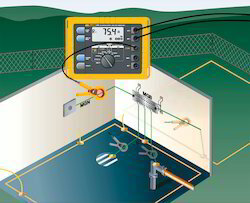 Our reputed entity is engaged in providing Earthing Testing Services. We are the leading service provider of Earthing Testing Services. Our experienced professionals are well-versed in rendering these testing services as per the demands of our client. We use advanced technology to offer these testing services in compliance with industry norms. Apart from this, these testing services are offered to our customers at pocket friendly prices. With consistent innovation and dedication, we bring forth for our customers world class range of Earthing System Testing Services. These testing services are performed by our experts. These services are perfect and customer centric in approach. Our customers can avail these services at affordable rates.